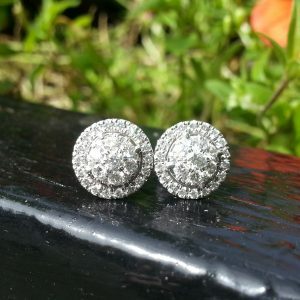 A beautiful pair of diamond set earclips. For further information please contact Cobwebs at cobwebs@eircom.net or 091564388 and quote AMS5939. 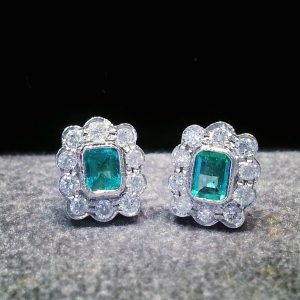 Total est emerald weight 0.40ct, total est diamond weight 0.40ct. 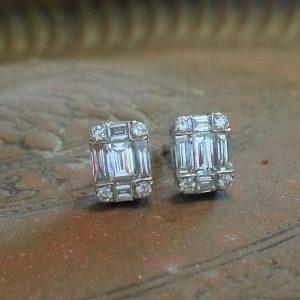 Emerald cut shaped diamond set earrings. Total weight 0.66ct, G colour, VVS clarity. 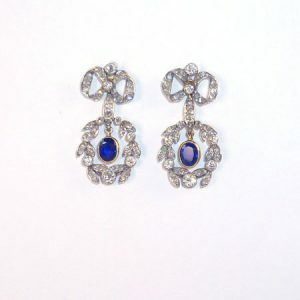 Oval blue sapphire suspended within a diamond set garland to diamond set bow motif surmounts, circa 1880. 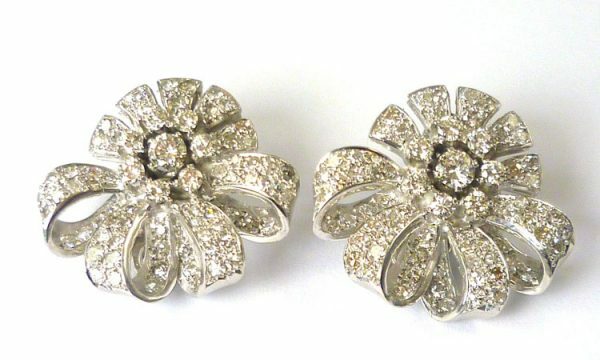 18ct white gold diamond cluster earrings weighing 0.75cts.